Book hotel rooms online with us at Hotel Porta Nova at the lowest rate, guaranteed. 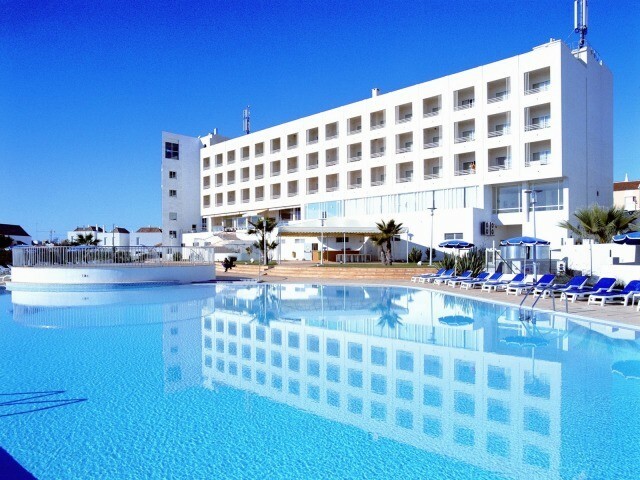 Get a holiday discount room rate at the 4 Star Hotel Porta Nova located in Tavira on the eastern side of the Algarve. The holiday apartments enjoy a location overlooking the ocean estuary. The hotel has 137 air-conditioned bedrooms providing holiday accommodation for one or two persons. Each room is equipped with satellite TV, direct dial phones, safe and mini-bar. The balconies either have a view either overlooking the ancient town or to the distant inland mountain range. Hotel Porta Nova in the Algarve has a Health Centre and an indoor pool with sauna and steam baths and a Jacuzzi. The swimming pool of the hotel is set in a landscaped garden and in season there is a Kids Club. The restaurant provides international cuisine and there is Wi-Fi in public areas.